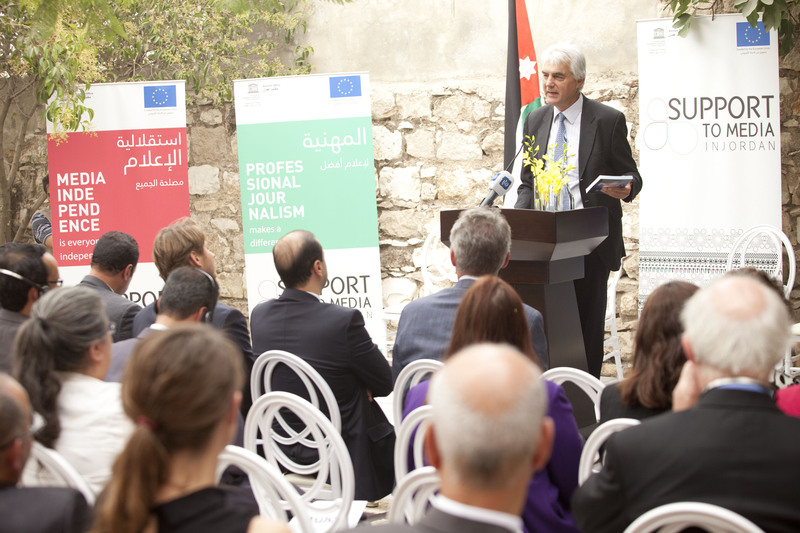 Launch of the Assessment of Media Development Report in Jordan, September 2015. Description: More than 100 people from the media sector, the international community, the government and civil society came together on 8 September to launch UNESCO’s Report on Media Development in Jordan, based on the UNESCO/IPDC Media Development Indicators. "It is one of our best studies, if not the best," said Guy Berger, UNESCO Director for Freedom of Expression and Media Development, during the event that took place at ‘Shams’ in old Amman. "We are pleased to present it to Jordanian stakeholders as a contribution to further develop the media as a key vehicle towards becoming a knowledge society."